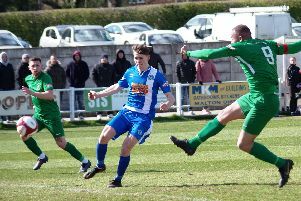 Brighouse Town lost to Aboubacar Sanogo’s only goal of the game away to Evo Stik League Division One North leaders Northwich Victoria today. Sanogo struck after 18 minutes and although Paul Quinn’s side stuck to their guns at Wincham Park they could not find an equaliser. Town, who were without skipper Leon Henry, Daniel Facey and Mark Betts, had drawn their three previous league games 1-1. They are next in action in a rearranged home game with Radcliffe Borough next Saturday.